What should I bring on my hill walk/wilderness walk/wildlife walk? As a minimum, each person needs a light day sack containing enough water and food (e.g. a sandwich, fruit, snack bar, and chocolates for your Hillgoers’ guide ;)) for a day on the hill. Please contact us if you need equipment. We’re happy to advise, and can recommend local shops that will give a discount, if you’ve purchased a walk from us. What should I bring for a navigation session? See: What should I bring on my hill walk/wilderness walk/wildlife walk? How can I receive a navigation certificate? It's possible to gain a navigation certificate- bronze, silver or gold - if you complete a day’s training and a day's assessment. Contact Hillgoers for more information. What should I bring for hill fishing? The same equipment for hill fishing applies as for the other walks, although additional warm layers are recommended. Hillgoers can supply the necessary fishing equipment, but feel free to bring along any fly fishing equipment that you prefer to use. Does Hillgoers arrange permits for fishing? What will I need to bring if we camp out? The same basic equipment for camping applies as for the walks, although a larger rucksack with additional food and camping equipment (tent, sleeping bag, sleep mat) should be factored in. Hillgoers can provide equipment if necessary. Please contact us for more information. What equipment does Hillgoers provide? Hillgoers provides highly qualified mountain leaders, who are trained in outdoor first aid by the British Association of Ski Patrol. We can also arrange necessary fishing equipment. For kit requirements, we work together with Banchory-based Out There Active Wear, and Craigdon Mountain Sports of Inverurie and Aberdeen. Customer discounts are available. Contact us for more information. How can I book an outdoor adventure with Hillgoers? Check out our event calendar for pre-arranged events, or contact us to arrange a bespoke adventure. What is a bespoke outdoor adventure? A bespoke outdoor adventure is anything you want it to be! Adventures can last from a few hours to multi-day, and can encompass a variety of activities, including, but not limited to, hill fishing, camping, wildlife spotting, or scaling a summit you haven’t seen before. Hillgoers qualified mountain leaders will recommend experiences suited to your individual requirements. Contact us for more information. How can I book a bespoke outdoor adventure? Contact Hillgoers via email or phone to discuss your individual requirements, and we’ll build a bespoke adventure together! What happens if there’s an accident while we’re out? All of Hillgoers mountain leaders are highly qualified and trained in first aid. Owing to a wealth of experience, they instinctively know to calmly and competently handle emergency situations. If a casualty can no longer continue their walk, they will be taken back to their car and looked after from there. If required, your guide will contact the police, who will arrange for a Mountain Rescue team. There is no charge for a mountain rescue in the UK; all the teams are highly dedicated volunteers that rely on fundraising to keep going. Mountaineering Scotland provide good advice on where to “go” in the great outdoors. We also try to start and finish our walks where there are proper facilities nearby. What happens if the weather turns bad when we’re out? Hillgoers mountain leaders keep a close eye on the forecasts before we set out on our trips. If the outlook is unfavourable, we will postpone or modify the trip to ensure you can still have enjoyable experience. Our guides are trained to interpret the weather on the hill and will take the necessary precautions to keep the group safe. Wind is the main issue and this is usually predicted by forecast, while rain can be kept out with waterproofs. Hillgoers mountain leaders are unlikely to cancel a booked event. However, if it is necessary, we will notify you as soon as possible to arrange an alternative date. What happens if I can’t make an event? If you can’t make an event, Hillgoers will work with you to try and rearrange it for another day. Booking terms do apply, however. When booking in advance, we ask for a minimum 20% deposit, which we’ll discuss when booking via email or phone. Cancellations 7 to 2 days in advance of the event will incur a 50% charge. Cancellations within 2 days of the event will incur a 100% charge. We operate anywhere in Scotland. We are based in Royal Deeside. How qualified are the Hillgoers mountain leaders?  All mountain leaders have been trained and assessed in association with the Mountain Training Association, which means they can lead groups anywhere in the UK within the remit of their qualification. They are also trained in first aid. To pass the Mountain Leader qualification, guides must also have a high level of environmental awareness. How long does a walk/event last? Typically, walks/events last for a half day to a full day. Bespoke events, however, can last for a couple of hours, or be multi-day treks. How can businesses use Hillgoers? You can take advantage of the fact that all of Hillgoers’ mountain leaders are highly qualified and fully insured, to arrange a fun, informative day out in the Scottish wilderness for you and your team. The mountain leaders will provide a full risk assessment for the booked activity, be it a hill walk, wilderness walk, wildlife walk, hill fishing or navigation session. The guide is trained to competently look after the whole team, ensuring they are engaged and motivated. Whether a gentle wilderness walk, tackling a munro or achieving a navigation certificate, your team will come away with a sense of achievement. The experience is also cost-effective, as all you will be paying for is your guide. We can, however, arrange catering and transport, at an extra cost. Contact us for more details on all of the above.